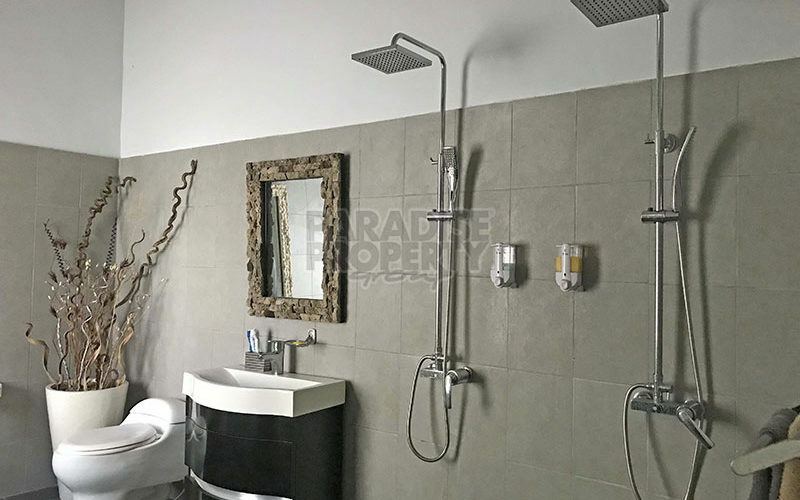 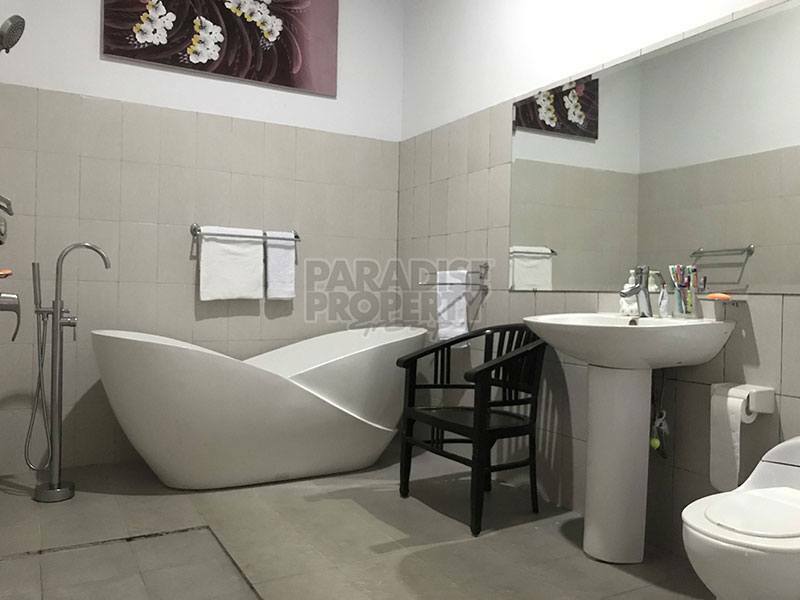 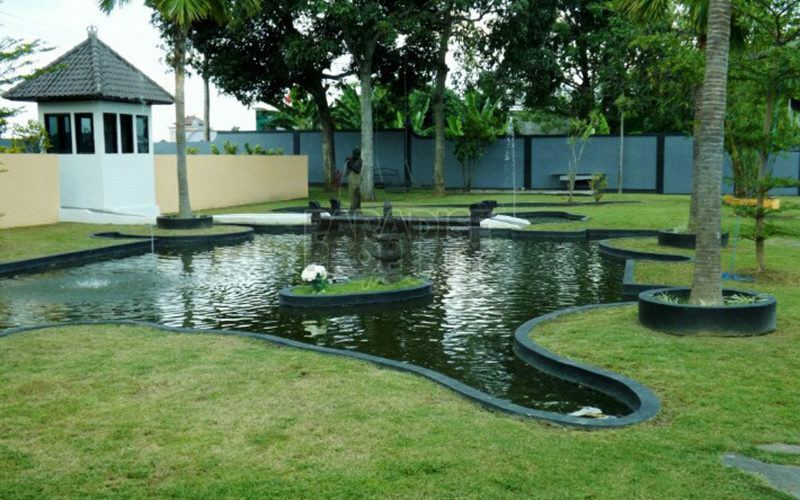 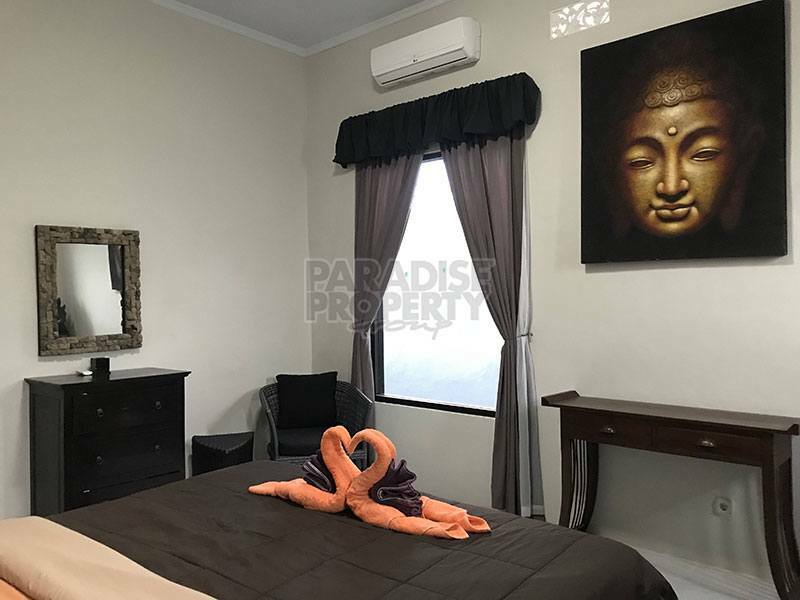 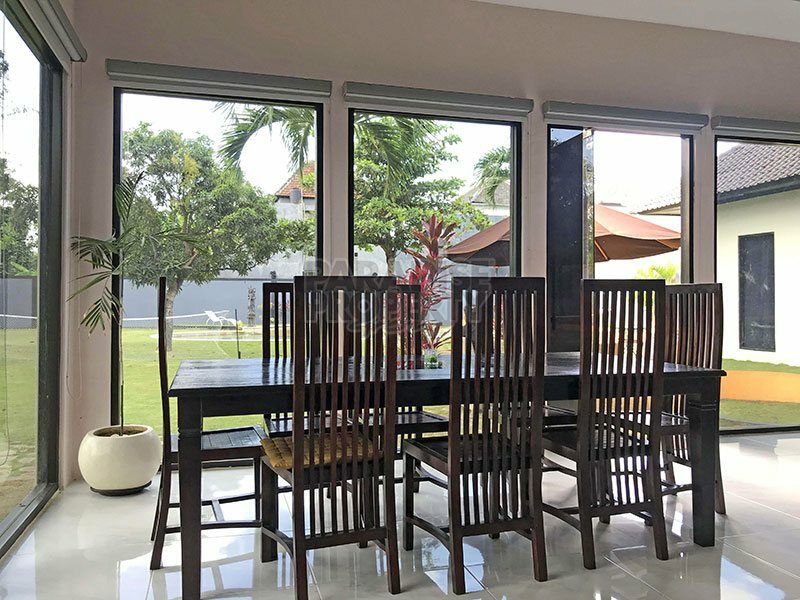 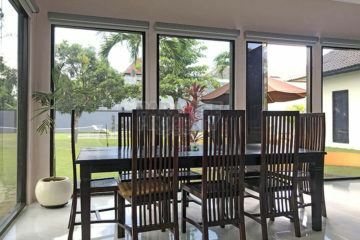 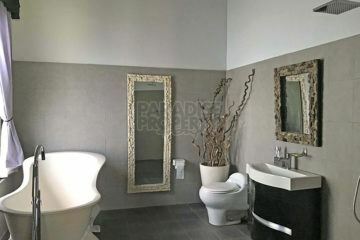 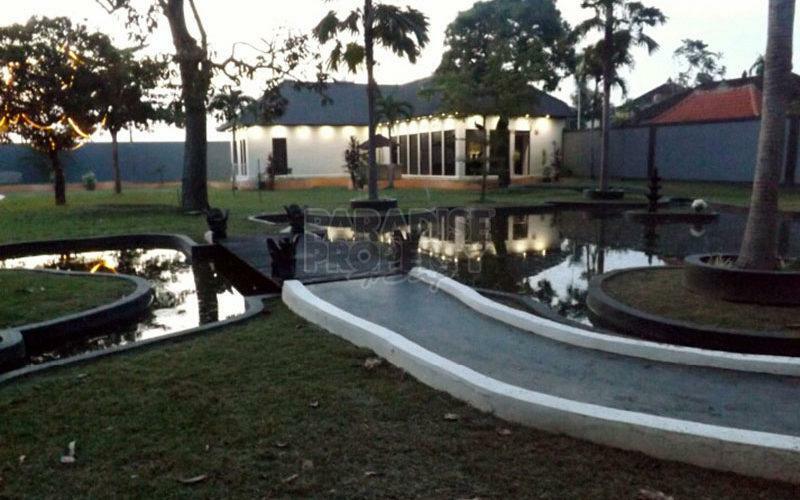 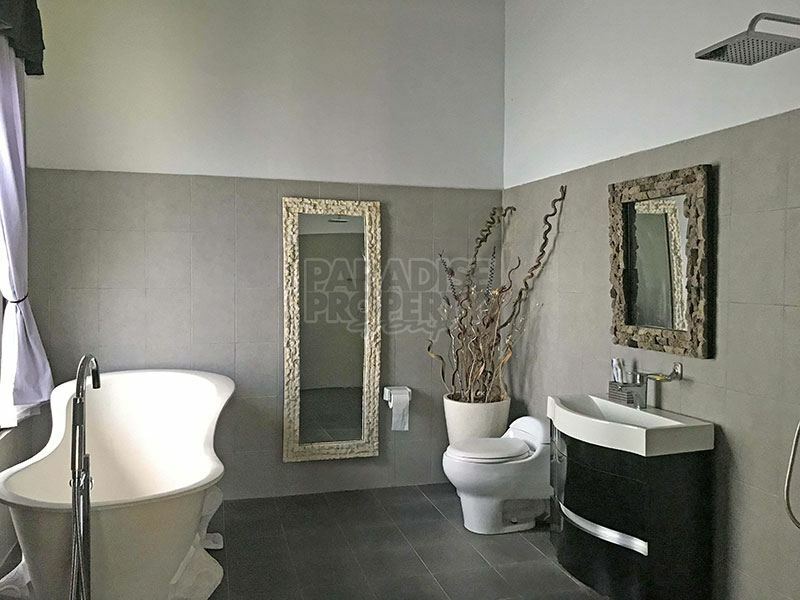 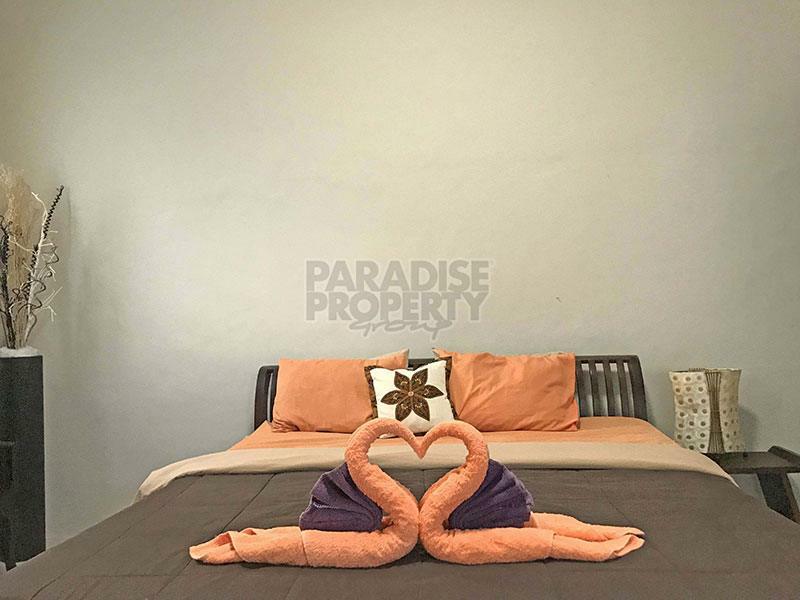 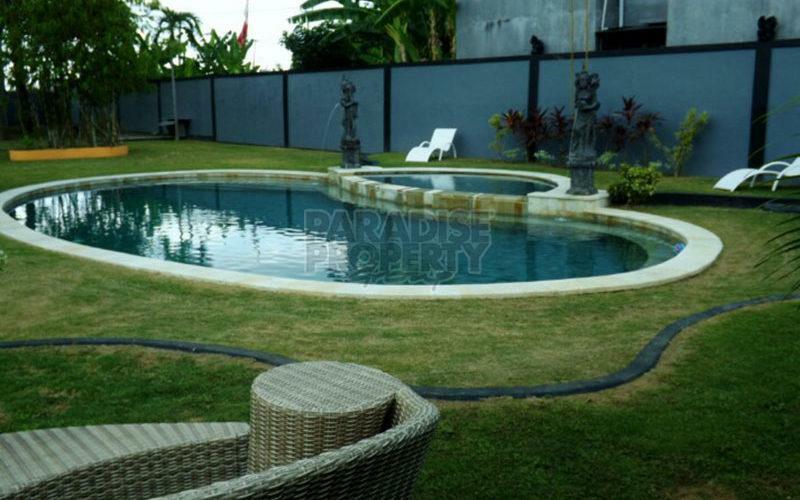 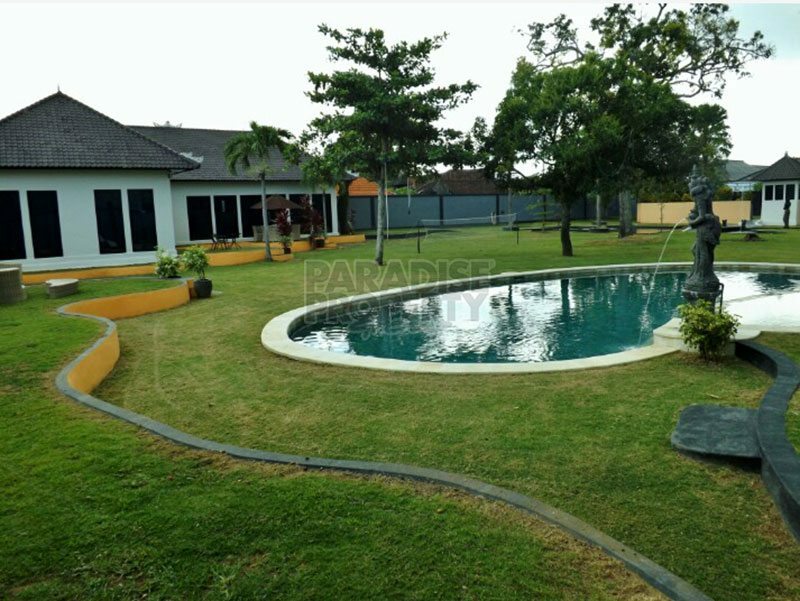 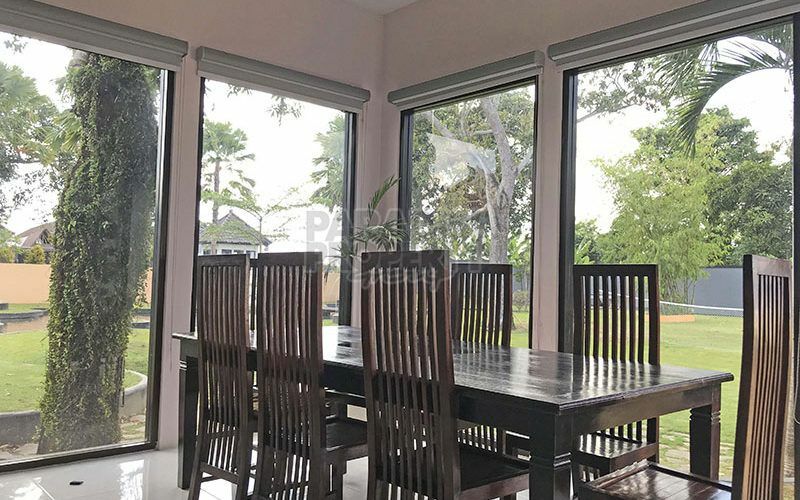 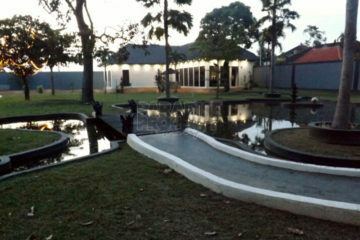 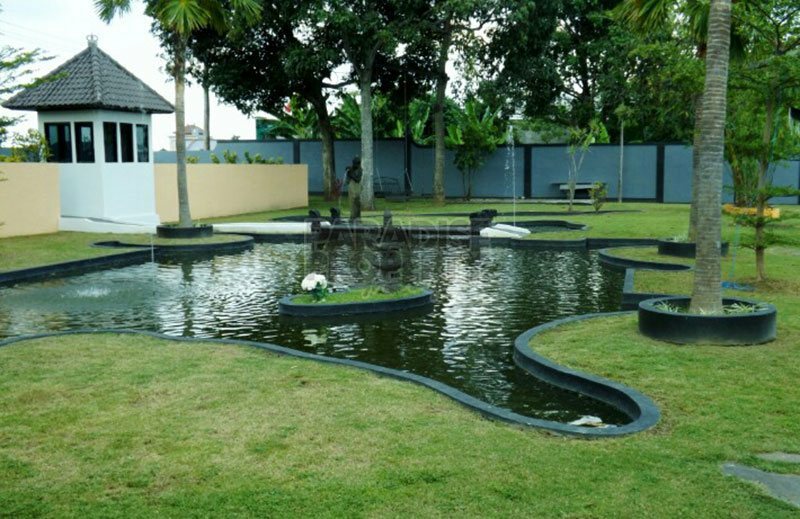 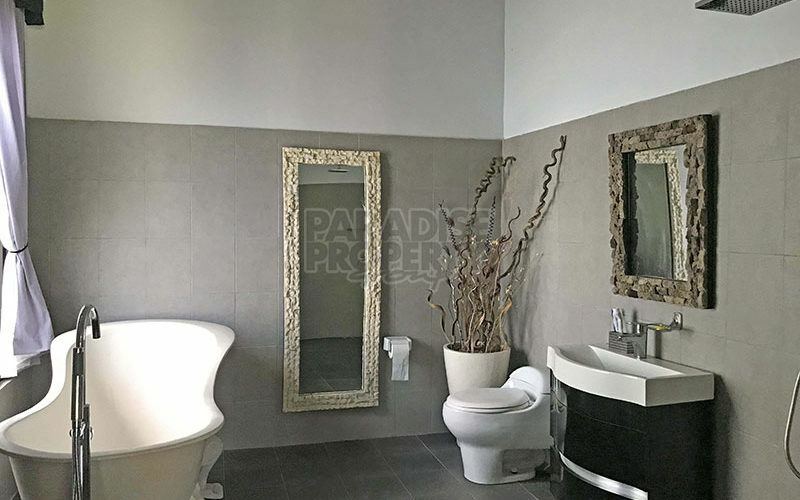 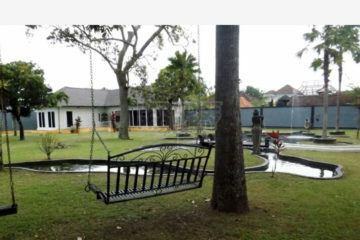 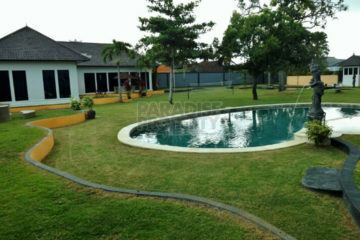 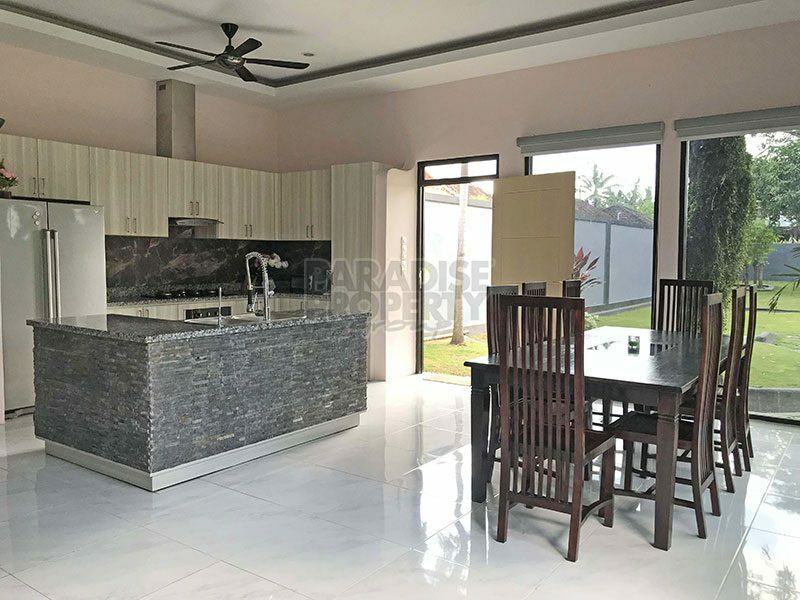 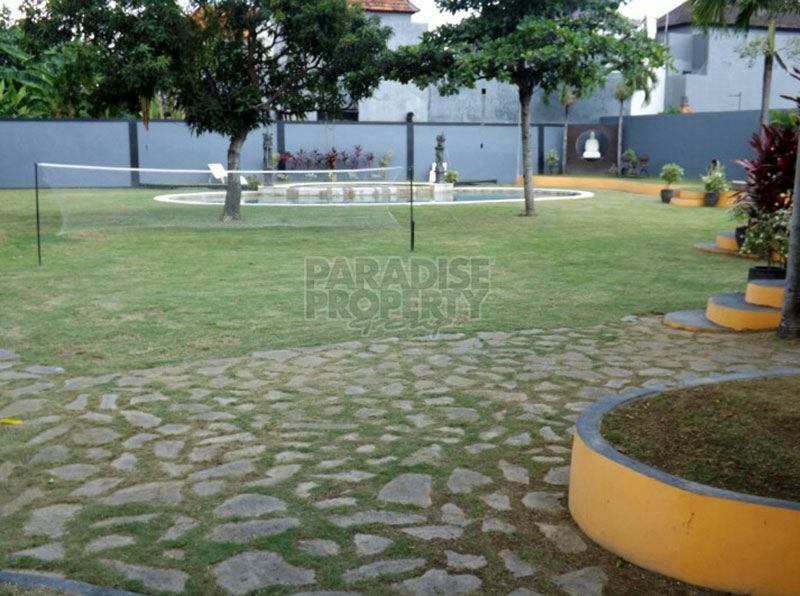 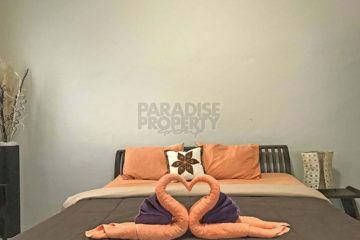 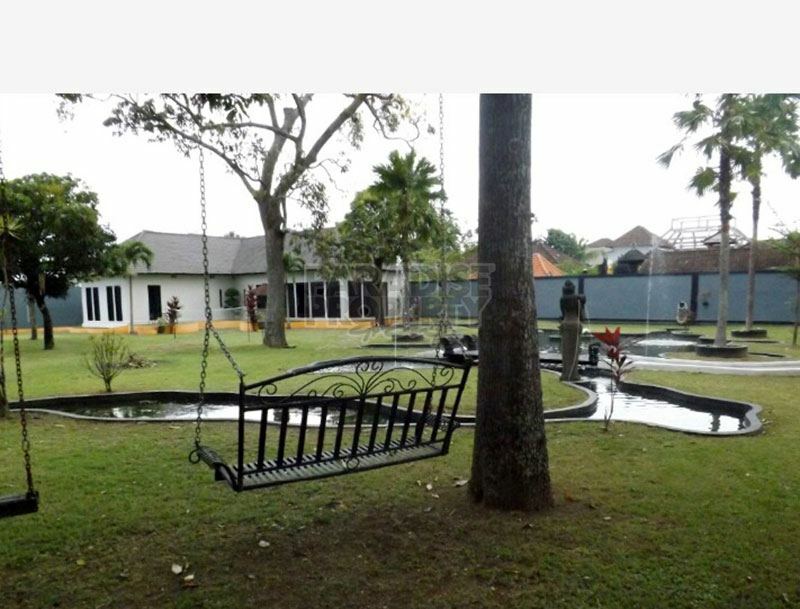 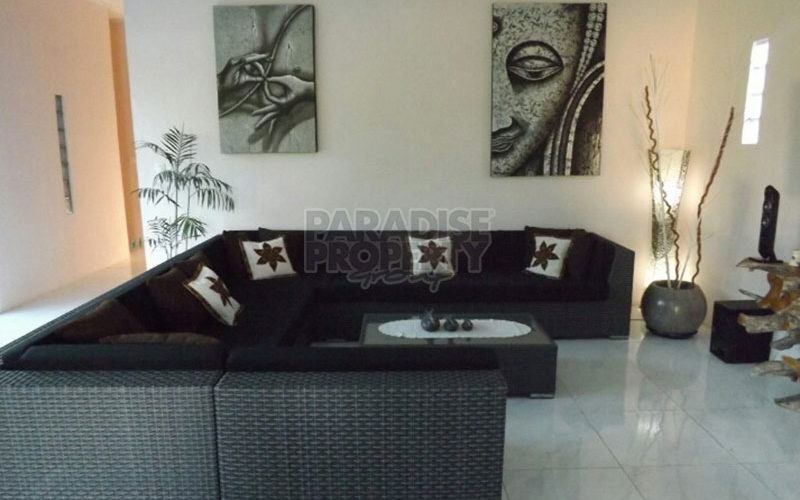 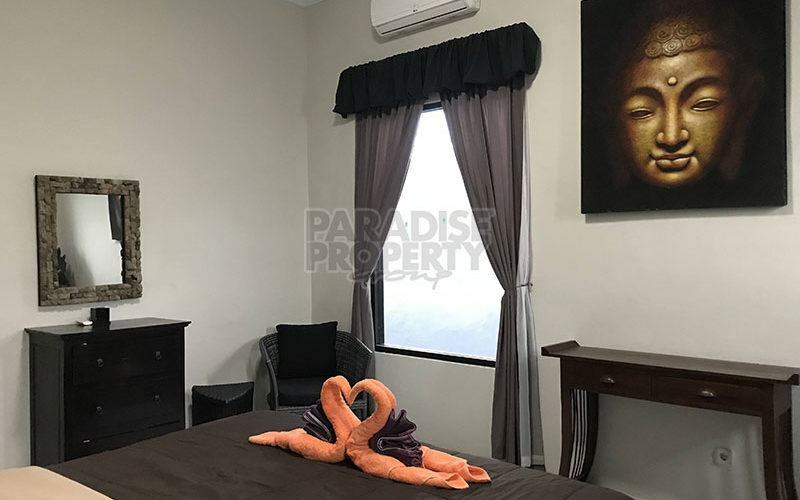 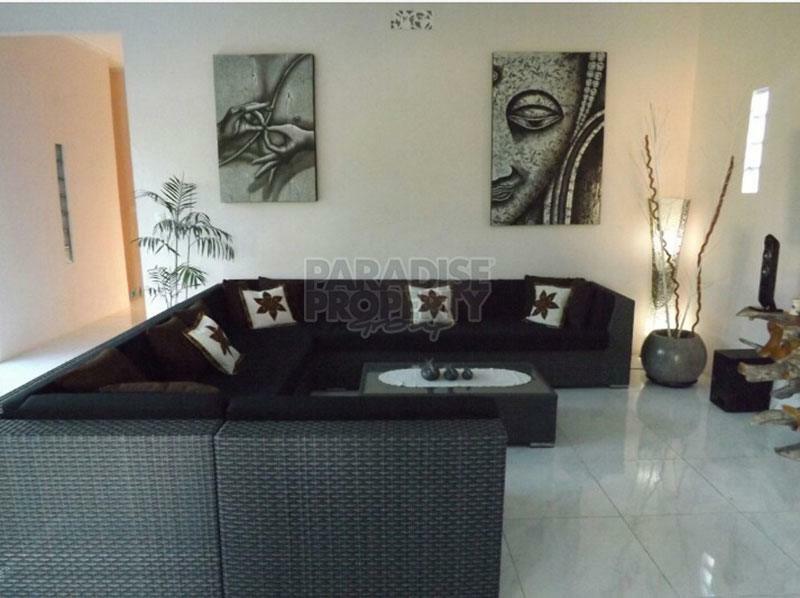 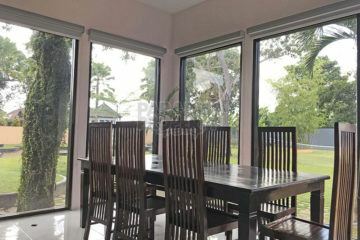 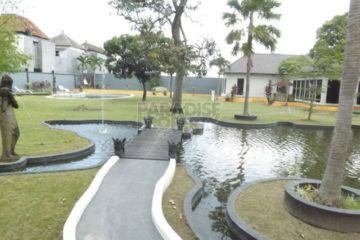 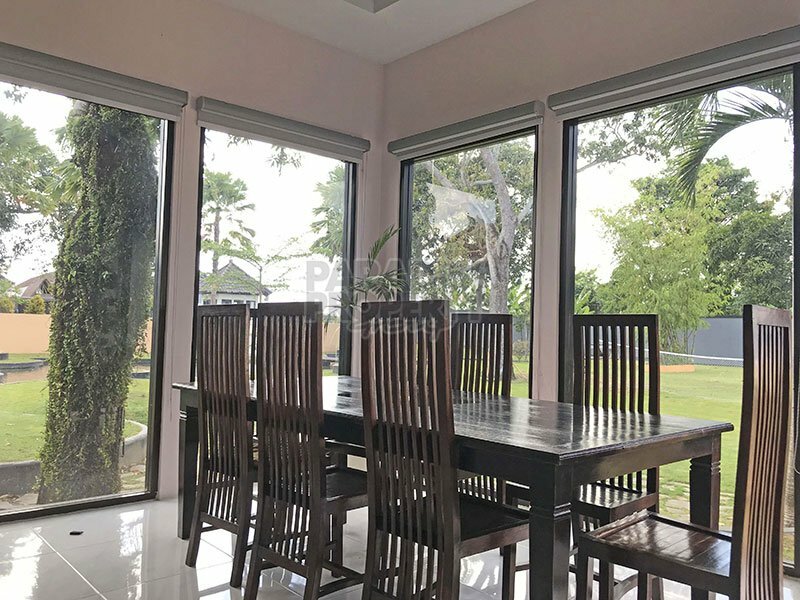 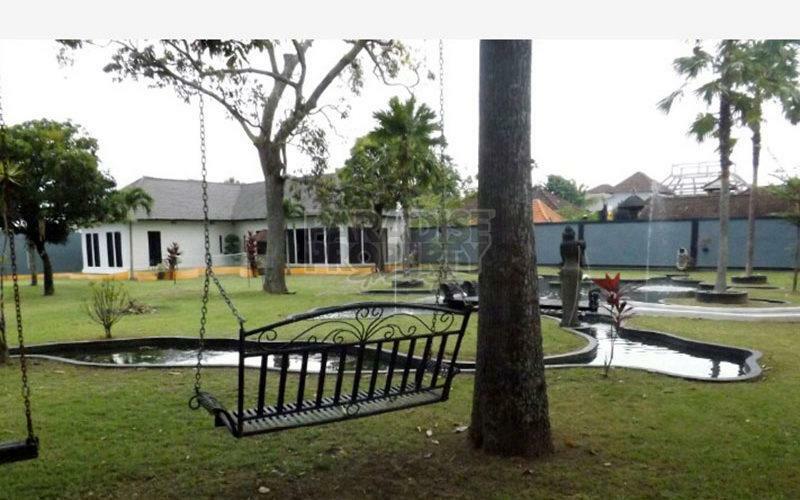 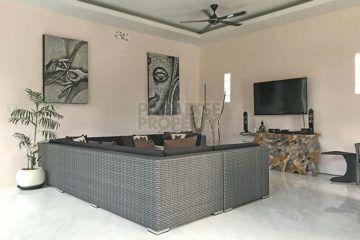 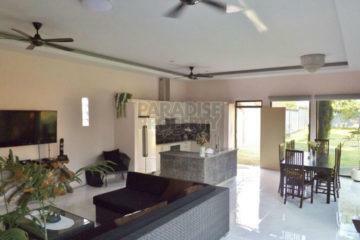 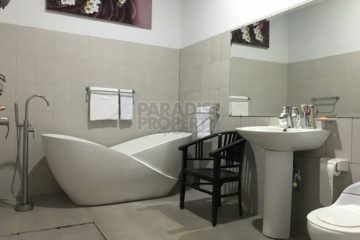 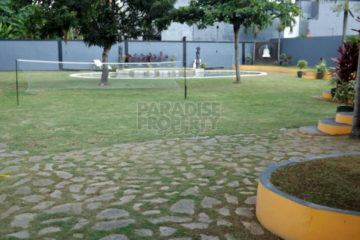 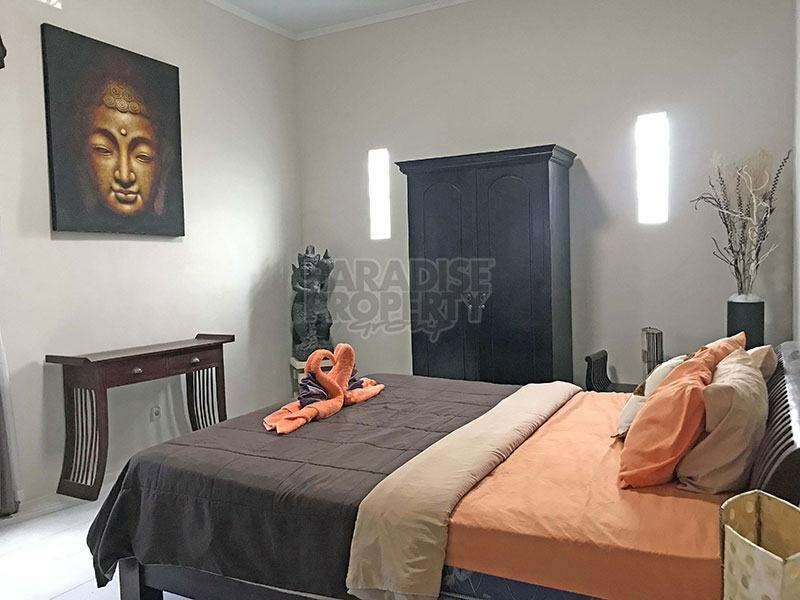 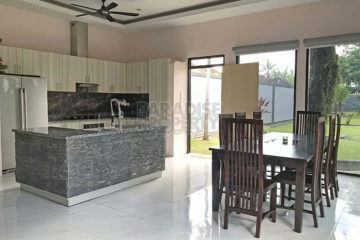 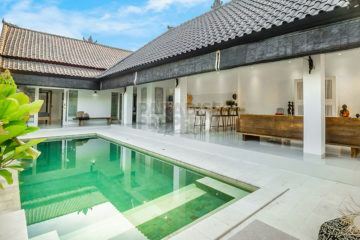 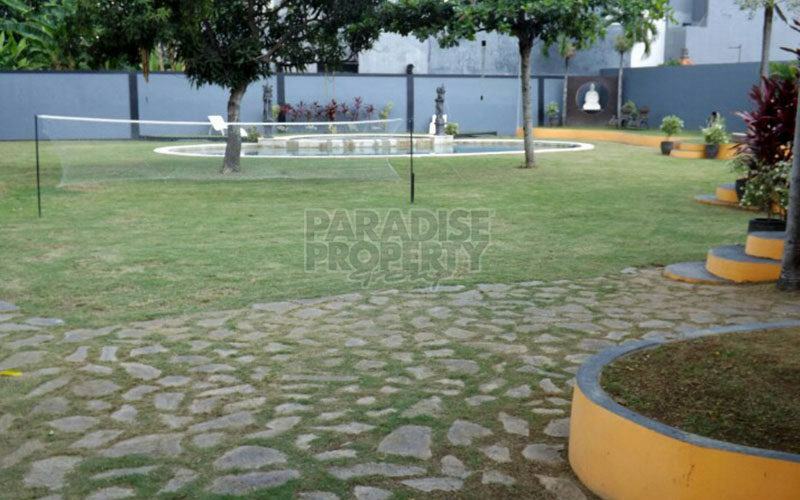 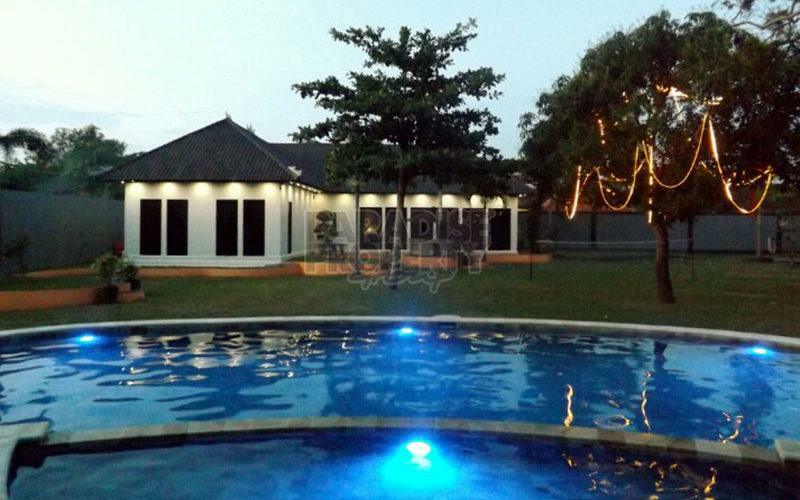 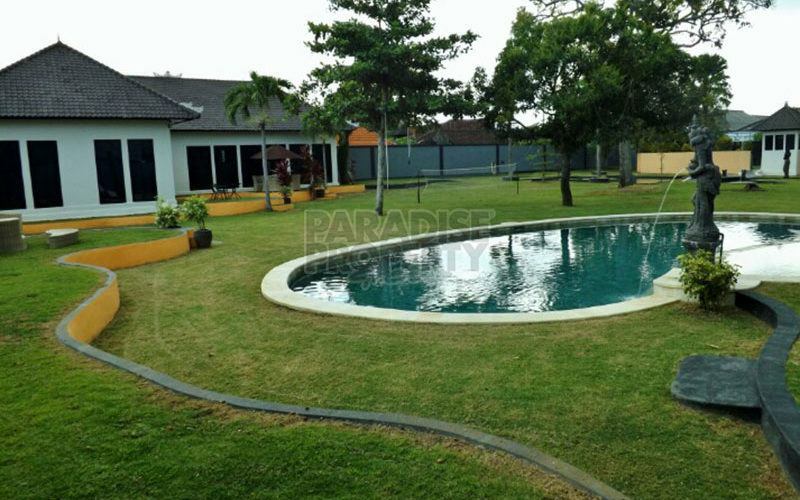 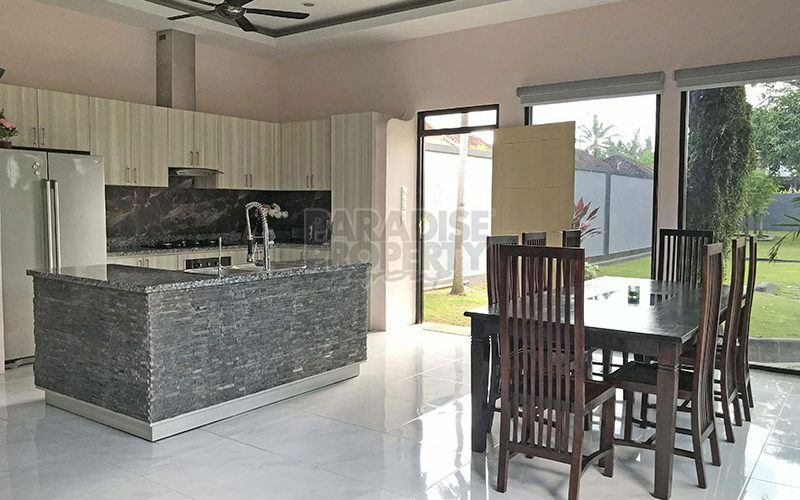 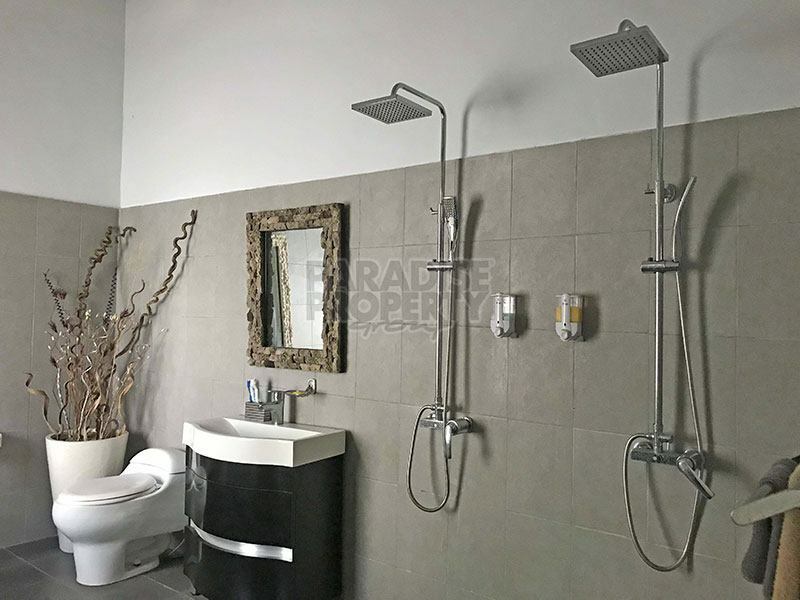 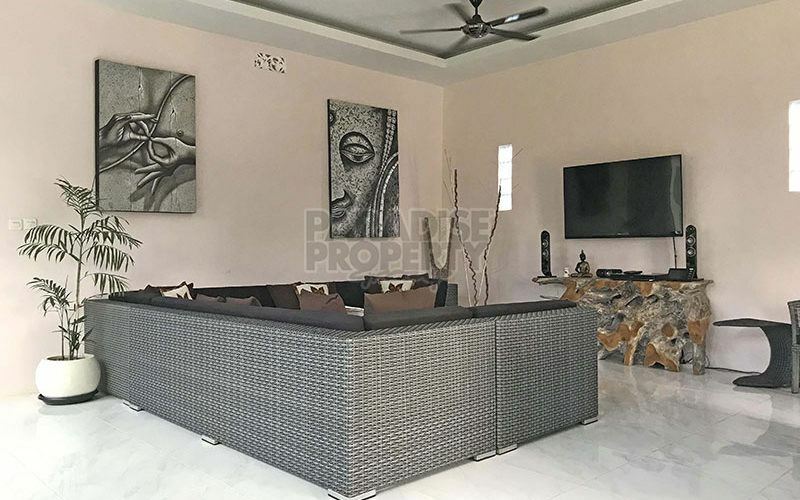 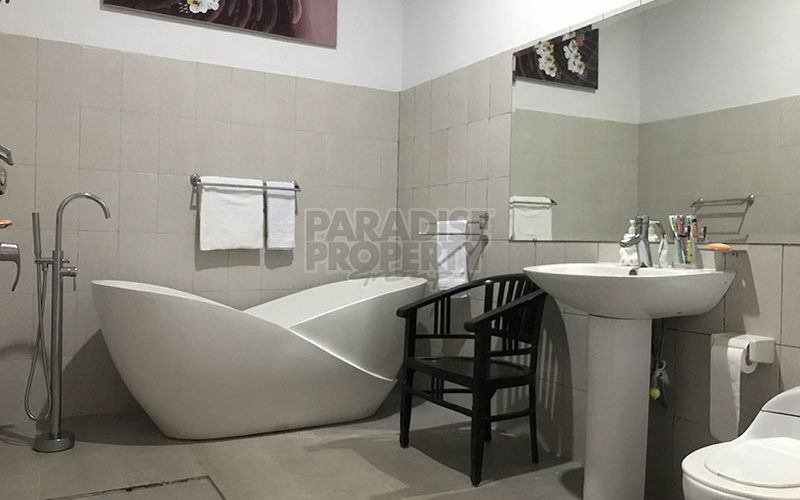 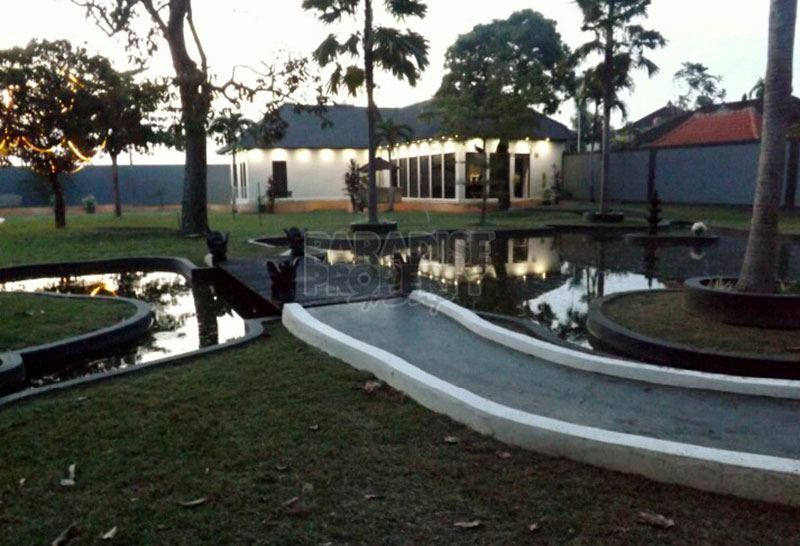 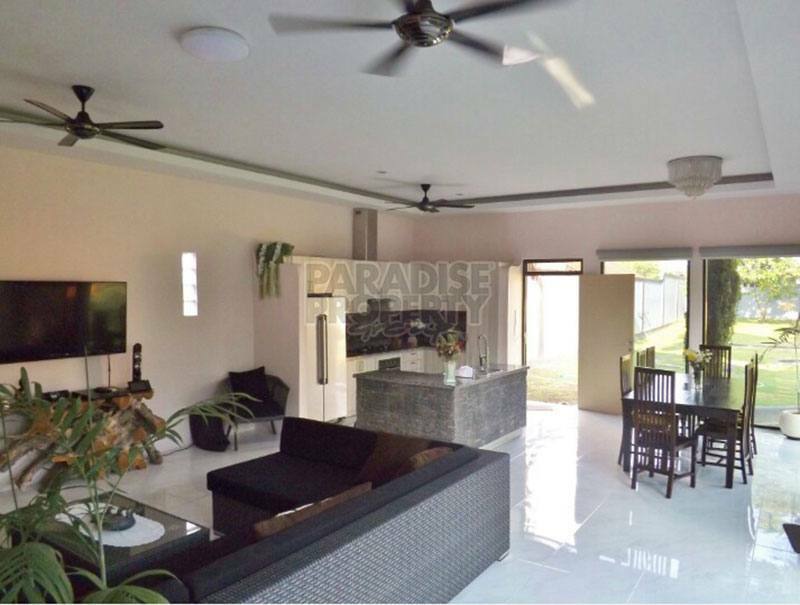 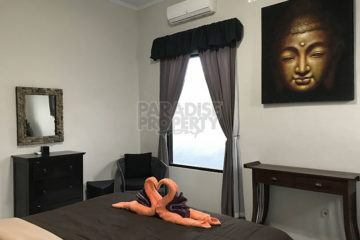 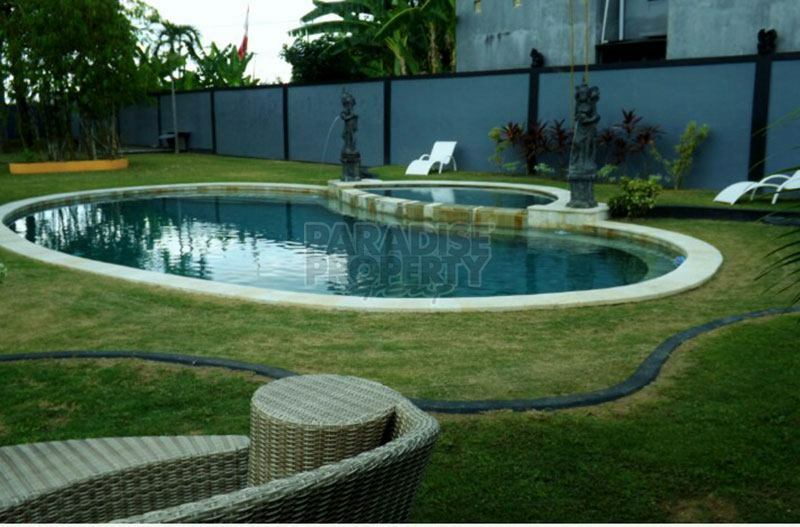 A beautiful rambling property with established trees, located in a quiet area of Kerobokan. 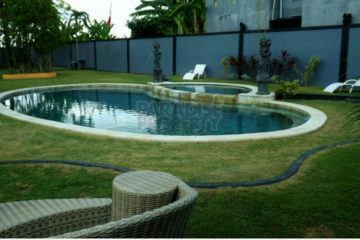 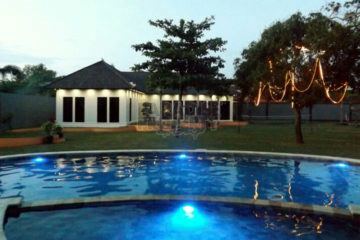 The villa is positioned cleverly ensuring the maximum benefit of the land, which is generous. 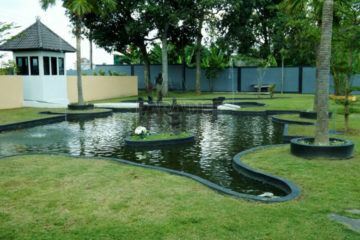 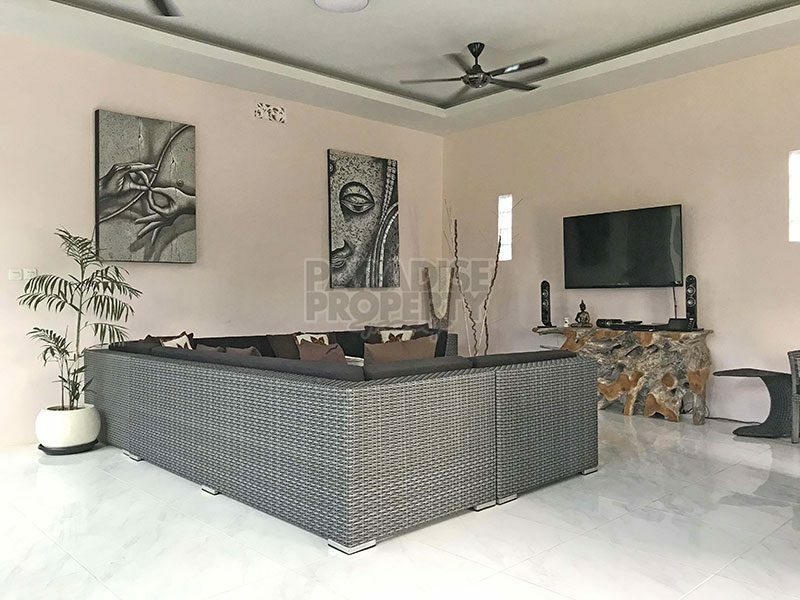 Completely walled for privacy with a large swimming pool, ornamental ponds that are surrounded by contoured lawn and with an outside surround sound stereo system making this property perfect for entertaining. 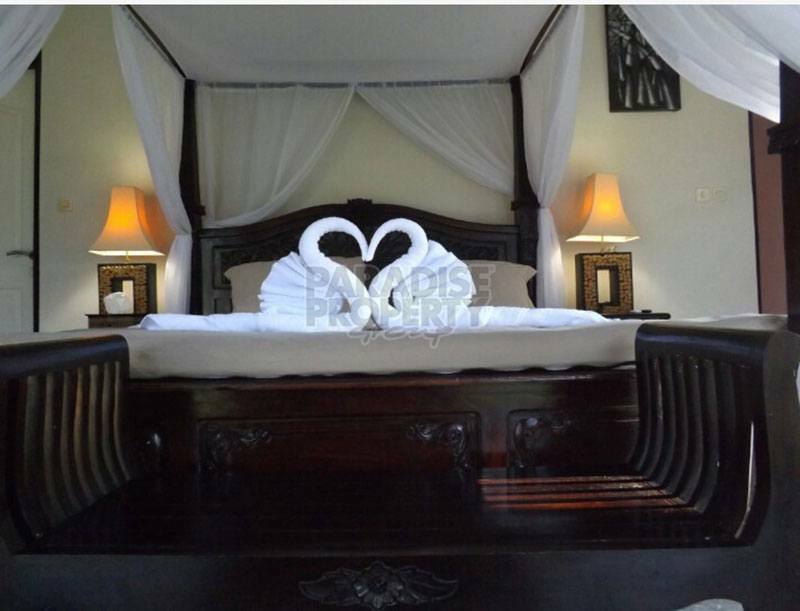 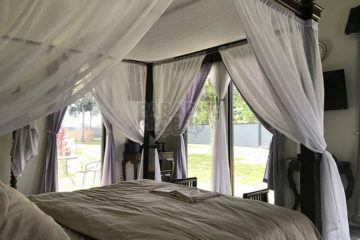 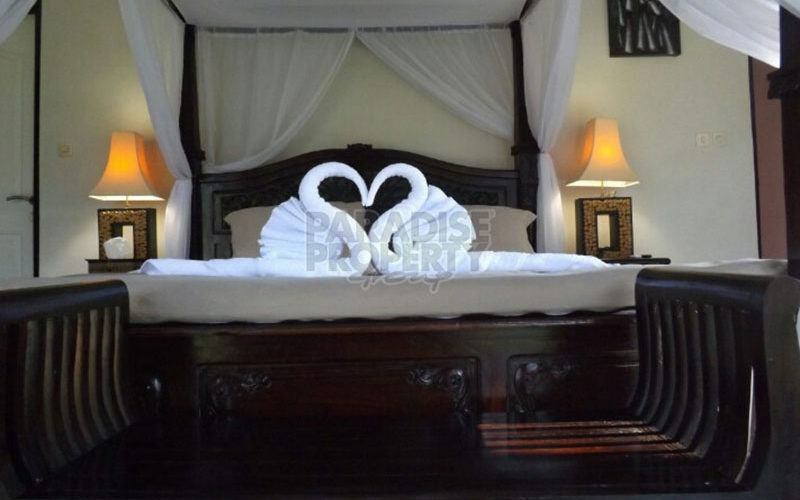 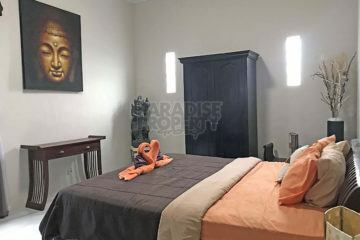 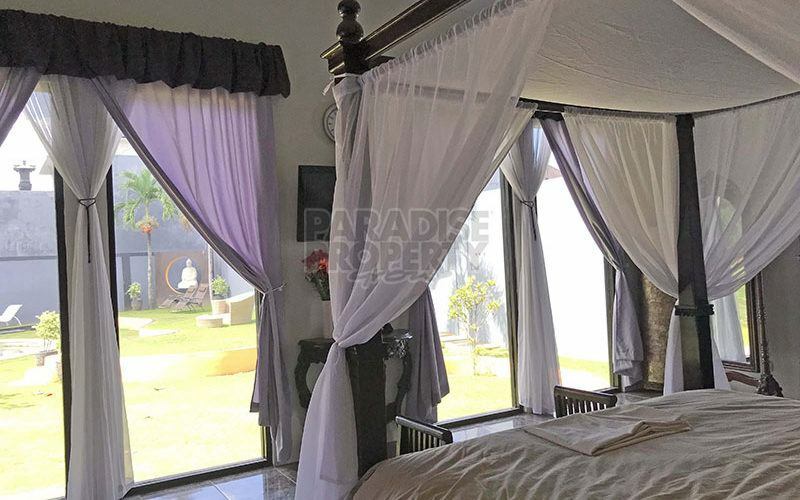 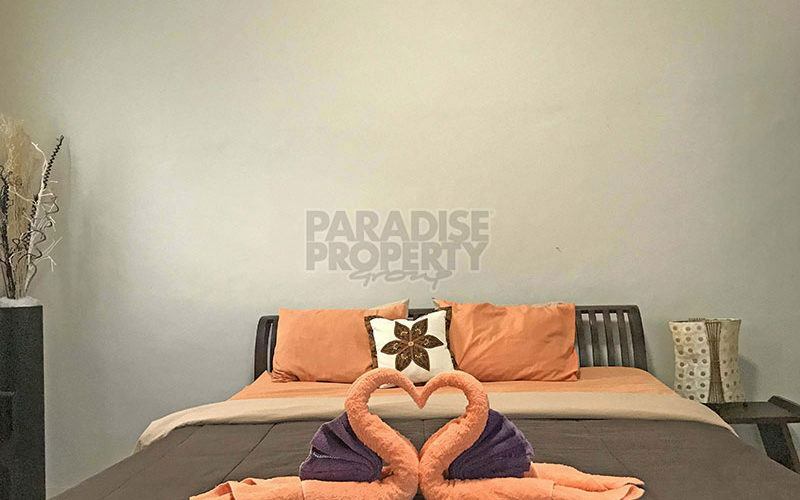 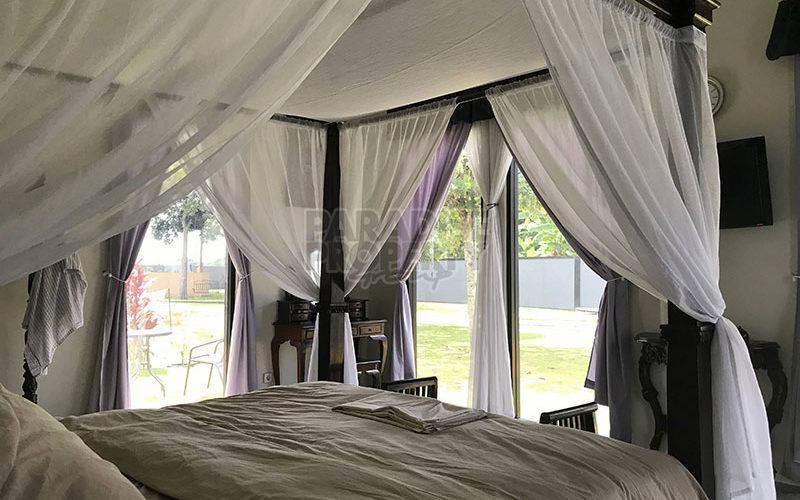 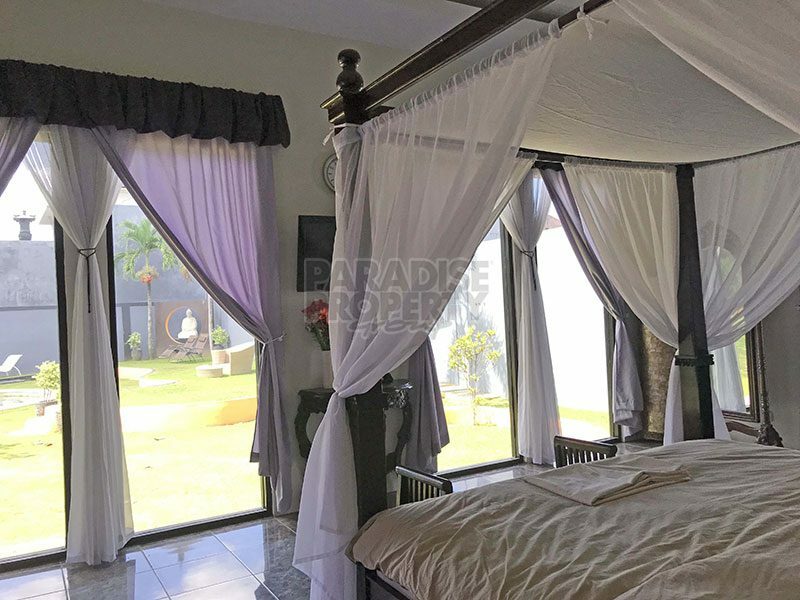 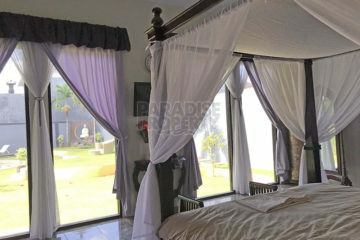 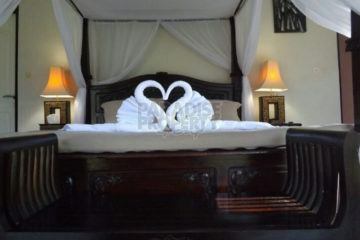 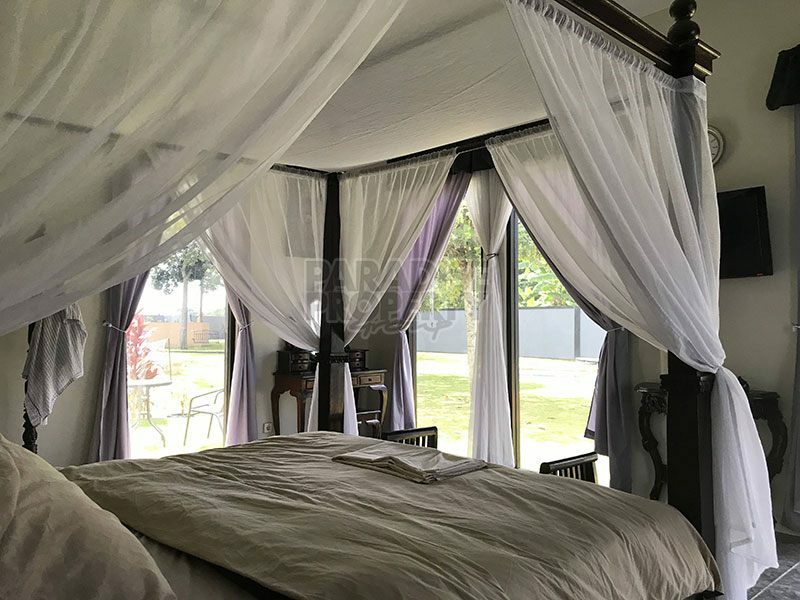 The villa features 3 spacious, comfortable bedrooms with 2 quality bathrooms. 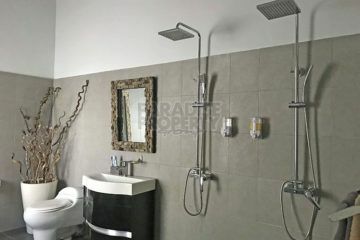 It comes fully furnished with tasteful dcor. In addition there is also a separate maids room. 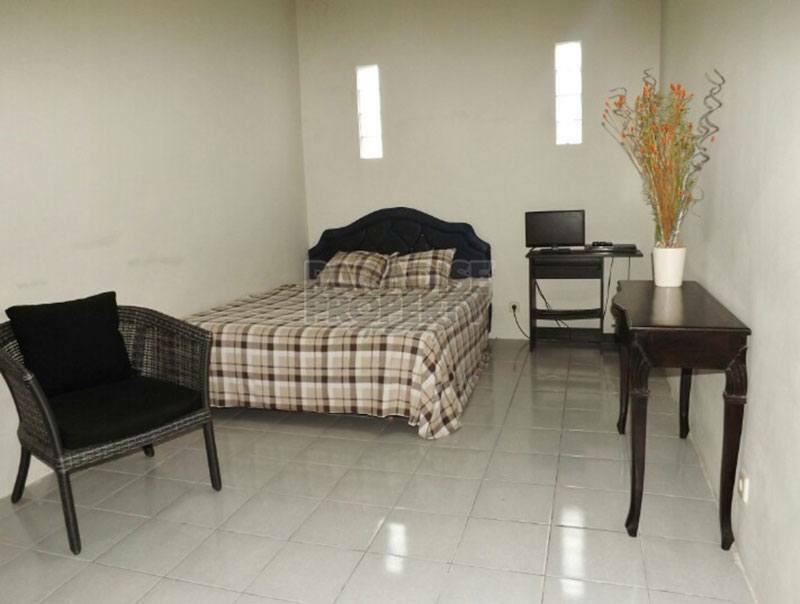 The property comes equipped with a motion sensor alarm system and a separate small building which can be used for security personal. 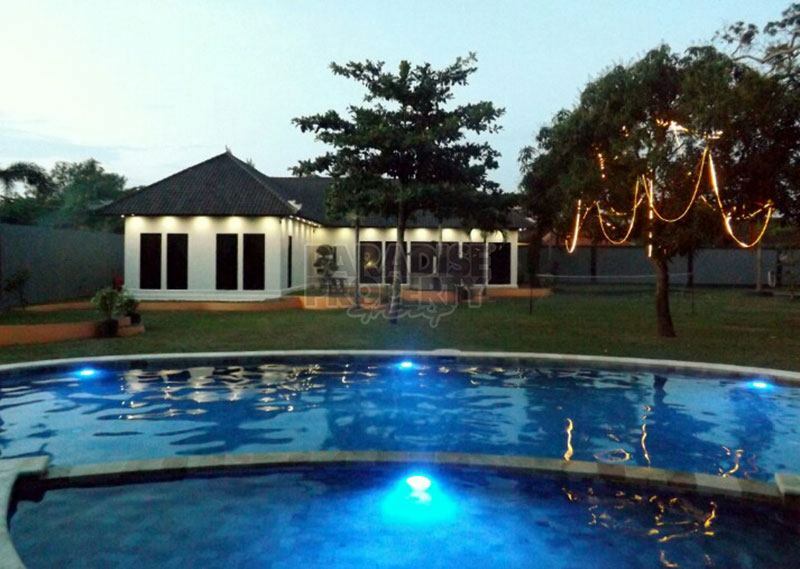 A/C’s are installed and the water is from a 50 M deep well with built in water softener and water filtration system.